Over the next few days, we shall be hearing a launderette’s worth of spin. While the small print of the draft Brexit policy proposals emerging from Chequers still awaits the public sprinkling of sunlight, early reports suggest the deal will be both contentious and problematic. Perhaps the Third Way paper was lifted by mistake from a file about Heathrow. If so, we shall see how many ministers lie in front of these bulldozers. Rather than attempt, though, to anticipate the end results of a debate which is continuing at the time of writing, it may be worthwhile inviting readers to reflect on the big picture. The EU is inherently, culturally and historically a centralising structure. 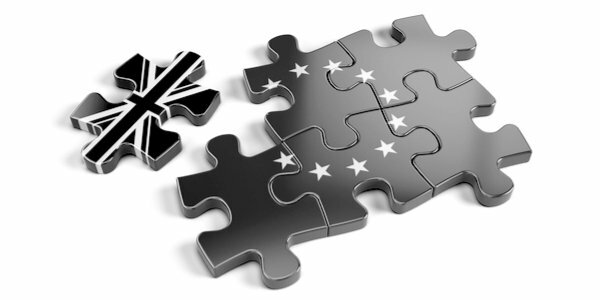 If leaving the EU is an extremely complex regulatory and administrative task to undertake today, one should also consider what an Augean Stables it will become for any state resolving to leave ten years hence or twenty, especially if undertaken in the midst of a political or economic crisis. For all our present administrative tribulations, our difficulties could have been squared or cubed. It should thus be a comfort to us, as we sweat under our temporary Atlantean burden, that it is not the Sisyphean task it might have become. And in a paper, with a foreword from the future Trade Secretary, exploring how the EU model contrasted unfavourably with those on other continents. These should reassure us of our direction. Meanwhile, the storyline being knitted in Brussels is that the problem lies with the UK being too ambitious in trying to design a new model. Supposedly, the Single Market is even more sacrosanct than the NHS. Yet for all the talk of the Commission offering a take-it-or-leave-it choice, history shows that the EU is flexible with its trade arrangements. It even has a track record in cheekily bending the customs rules where there is a politically-sensitive border. Let’s also briefly reflect on Article 50, the treaty clauses that set out how a member state formally leaves the EU. What’s largely been forgotten is that this article emerged from the Convention on the Future of Europe as one of the very first elements, and at a very interesting moment. It was released along with another new and extraordinary section which would ultimately be incorporated into the Lisbon Treaty. The two were conjoined from birth. Its creation frankly astonished Eurosceptics in the Convention, and its release alongside the future Article 50 was seen as both symbolic and carrying immense potential. Its creation meant accepting that the EU was not intended as a single system for the continent, nor even a binary system with the European Economic Area viewed as a runner-up model. It accepted that the EU would do not just minor trade deals with non-member European states but form highly developed Association Agreements – which is precisely what a future Canada+ arrangement for the UK would involve. Perhaps someone might like to ask Lord Kerr about that, rather than just about the Article 50 of which he seemingly likes to claim parentage. In any event, it is terminology that Downing Street needs to wrap itself in, to justify more intergovernmental rather than supranational bilateral ambitions in Brussels. A final consideration lies in the default. We’ve heard ‘No deal is better than a bad deal’, but what does it mean, and should we believe it? The answer to that is yes, which has big consequences for our negotiating tactics. But we should be much clearer about the vocabulary. Project Fear is spinning that No Deal shelters the terrors of the night. But when we talk about the No Deal fallback, we should talk about the right one. A Strongly Mitigated No Deal is different from a No Deal. The latter is what some big corporate lobbies want us to think is on the table, a bare-bones bugbear to frighten people towards their own preferred option. The reality though lies in the former – the consequence of 300 Whitehall working parties fully transitioning four-fifths of the issues (an estimate I considered achievable following a three-month audit I undertook after the referendum). Our reflections on the actual options on offer should not be distracted by sleight of hand by the pro-EU lobby. Nor should such claims distract us from another reality. Those who want the prep work to accelerate over the Strongly Mitigated No Deal are not arguing for the default as the objective, but as the fallback. The objective should be a better deal – one that captures both a Canadian-style free trade treaty, but also builds on it by adding many bilateral elements in a new Association Agreement, facilitating international cooperation. The temptation these past few months has been for commentators to become absorbed by individual cogs within the clock workings, while forgetting about the time. The current EU system works badly for us and we shouldn’t be trying to replicate it. Vested interests apart, why now try to keep so much of the old burdens without even the veneer of democratic accountability in the post-veto EU? First principles encourage us to ditch the Customs Union and Single Market glue traps, and commit to pushing upwards from the foundations of a developed CETA deal. That will be the true test of any Chequers Deal.